My first San Diego Moms Night Out event back in October has me wanting more! The delicious food, fun cocktails, make-up, nails, massages...too much fun! So, I'm super happy to share with all of you the upcoming San Diego Moms Night out event: Music & Food for Your Mood at Humphreys Restaurant. The night promises to be a mini-getaway from mommy hood with the diversions of wine, food, music, and the company of great friends! This event is dear to my heart because it benefits Olivewood Gardens. This historic 6.85-acre property in located in my hometown of National City, California. It serves as an interactive, indoor-outdoor classroom for children and adults from around San Diego County. It is a wonderful place of learning for young and old alike! Cost: $30 presale, $35 at the door $25 Early bird registration through January 31 You can purchase tickets here! Below is the 2nd installment of a writing challenge my college friends and I took on a few months ago! The topic this month is: Benjamin Franklin said, "Energy and persistence conquer all things." Do you agree or disagree? What will you do to energize yourself for 2013? We'd love for you to read our entries and vote for your favorite! In celebration Of Rainwater Spa's one year anniversary, I was given a complimentary 45 minute body scrub from a Facebook contest they conducted! Yay for me! 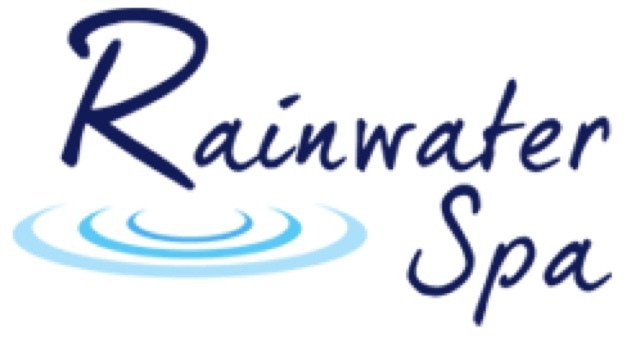 I've visited Rainwater Spa before and loved my massage. You can see my review on that experience here. I have gotten a spa body scrub only once before, years ago ata a different spa, so I was looking forward to this experience. But after reading a not so positive review about the body scrub Rainwater Spa, I got worried! Yet, in my head I told myself "hey it's free, it can't be that bad!" My body scrub was done in one of their massage rooms. The process involved applying and massgaing the mango body scrub, wiping it off with what felt like a micro fiber cloth, then wiping with a warm, wet wash cloth: Legs, the torso, arms, décolleté, then back. I wish the scrub had a stronger scent, it was very faint. I wish I left the spa smelling of mango! I've been fortunate to have been a part of a monthly correspondence club sponsored by www.starcrossedsmile.com. The idea is to write a hand-written letter and send one small gift to a "pen pal" assigned to you. The gift should cost $5 or less- something you think would brighten your pen pal’s day. I've had so much fun participating! January's Theme is New Resolutions. 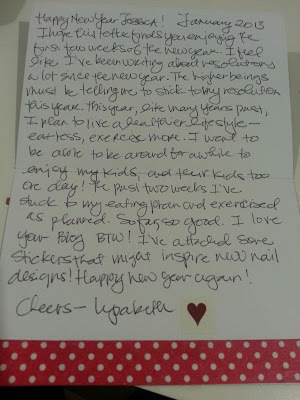 So my letter to my pen pal was to talk about some of my New Year's resolutions and/or some things I hope to accomplish in 2013. My gift were some cute stickers I hope my pen pal, http://beautygnome.blogspot.com/, might enjoy as inspiration for the awesome nail designs she creates! I had the privilege to attend Macy's Culinary Council live cooking demonstrating featuring Chef Nancy Silverton at the Macy's Mission Valley Home Store in San Diego this past Saturday. I've visited Macy's Home many times but never realized there was a huge cooking demonstration room in the store! There were over 100 seats in the room and a line out the door for this free event! The cooking event was well attended, all seats were taken! Nancy Silverton is the co-owner of Osteria Mozza, Pizzeria Mozza, and Mozza2Go in Los Angeles, as well as Osteria Mozza and Pizzeria Mozza in Singapore. She is the author of several books including Nancy Silverton's Sandwich Book, Breads from the La Brea Bakery: Recipes for the Connoisseur and most recently The Mozza Cookbook. She announced she will be opening a restaurant which is a fusion of Osteria Mozza and Pizzeria Mozza in the Old Police Headquarters here in San Diego in the Fall of 2013. 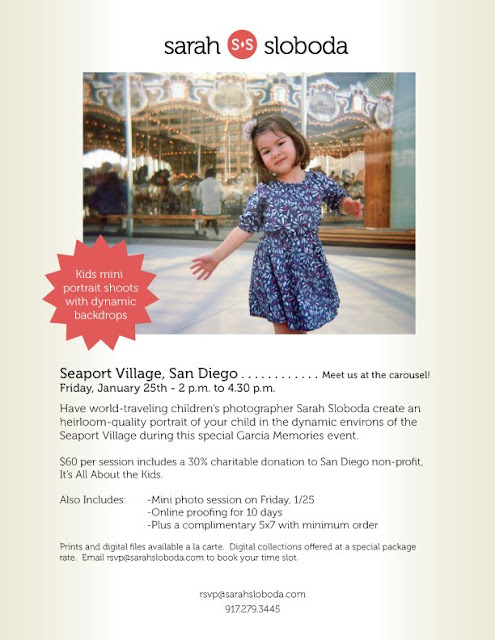 Win One of Four Kids Mini Photo Sessions with Sarah Slobada! I'm very excited to have partnered up with world renowned photographer Sarah Slobada for her Family Photo Tour for 2013! Sarah Slobada's clients and publications include Awards, publications, and clients include Martha Stewart Weddings, Baby Shop Magazine, The New York Times, New York Magazine, The Knot,Glamour.com, Sephora, CW network, and the Brooklyn Academy of Music. with Sarah Slobada including online proofs on January 25, with appointments from 2-4:30PM. If you enter, please make sure you are available. If you are chosen, I will be in contact with details on scheduling your appointment! Please be advised that winners will have the $60 session fee waived and may purchase prints and digital files a la carte. Garcia Memories was nominated for a Liebster Blog Award from the "crew" at Pirate Perogative! Thanks Mateys! 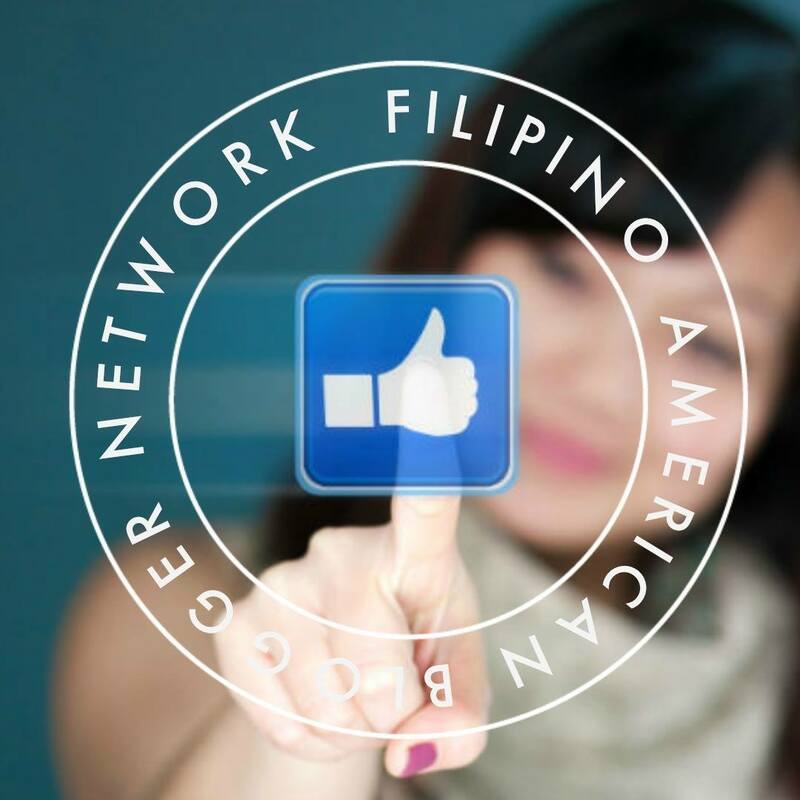 Check out their post here: Liebster Blog Award. 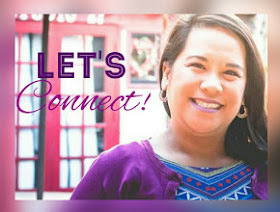 The Liebster Blog Award is given to up and coming bloggers, by their peers. The blog nominees have less than 200 followers or have been blogging for less than 6 months. The award helps to recognize new blogs and share their labors of love. It is actually known as the Love Blog Award, too. In case you were wondering, Liebster translates to “dearest” in German. Here is some background on the Liebster Blog Award! I'm so very thankful to be a nominee and I'm happy to share some other blogs and I think are cool and are just as deserving! The Rules: You must post 11 random things about yourself. Happy New Year! It is that time of the year to reset, refocus, and set goals for the next twelve months. For many years, I have set “resolutions” in the first few days of each New Year. Save money, travel more, spend more time with family, and lose weight. Each year, these goals start off full-throttle but lose speed and momentum as the months go by. I'm thankful for a job that has ample vacation time throughout the year! These times I cherish for it gives me lots of quality time with my two growing boys! The past two weeks I've had with my boys have been so much fun. They are growing so fast and learning so quickly, I want to be able to enjoy each sweet moment with them! Here they are on the days they were born. Jelo was born in 2008, he's on the far left and top right. 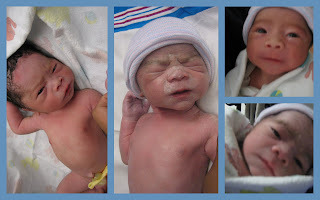 DJ was born in 2010 and he's in the middle and bottom right pictured here. The years 2008 and 2010 don't seem like such a throwback but when I look at my boys today, those days they were born seems they've gone by in a blink of an eye. It's hard to think of the time I lived my life without them. Here they are "big boys" as they like to call themselves. I tried to get a decent picture of them on Christmas Eve. This was the best I got! These boys bring me so much joy! They make me crazy a few times here and there too!